A common requirement is to import all files in a folder into Excel. These could be text files like .csv’s or even Excel files. 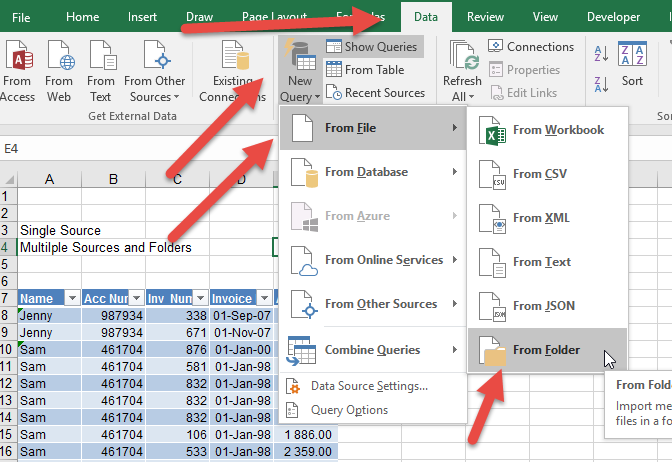 In this case a new option available is to use Excel’s PowerQuery tool (if you are not sure if you have it, visit the Where to find it page). This tool has an option to append a number of files within a folder onto each other to create a single data source. You then choose the folder that contains the files. 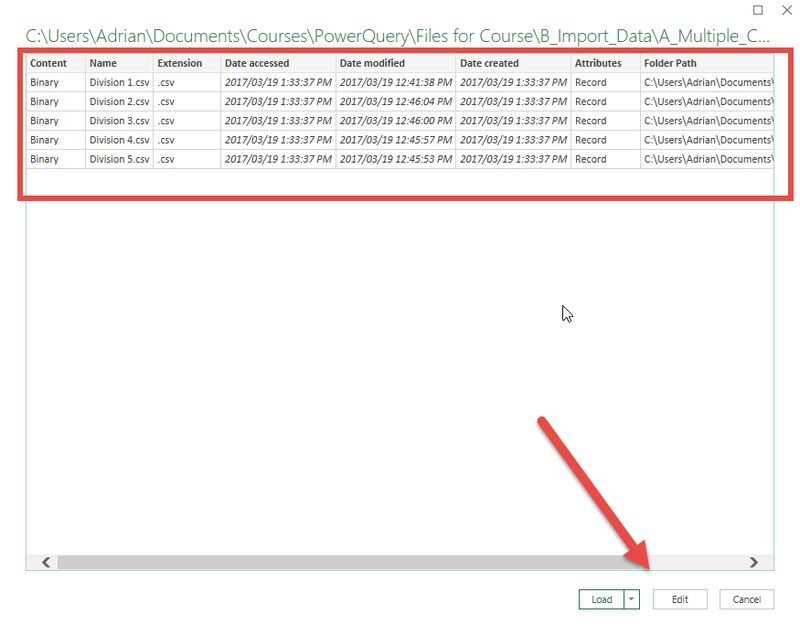 When you enter the PowerQuery window, you will again see all the files stored in that folder. Note the icon on the first column and the button called Combine Binaries. If you click either of these it will combine all the files into a single file. It will first give you the normal CSV options though so that you can specify how it is split. On clicking OK it will perform the append and you will see a screen similar to the one below. Note the extra column for the Source name. This will be very useful if you ever want to break the file back into its component parts. What’s great about this is, if more files are added to the folder, you just need to refresh and they will be pulled in automatically!